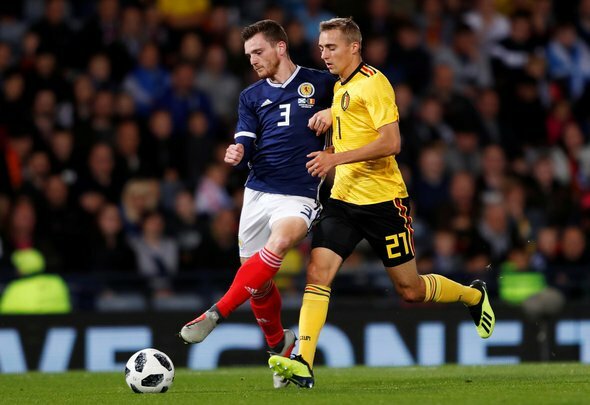 Celtic saw their £8.7million (€10million) bid for Atalanta’s Belgian defender Timothy Castagne rejected over the January transfer window, according to Sky Sports journalist Gianluca Di Marzio. The reputable Italian reporter, who has one of the best track records when it comes to breaking news across Europe, claims on his personal website that the Hoops tabled the seven figure bid for the right back, who has two caps under his belt for Belgium, but saw it turned down by the Serie A side. The 23-year-old has established himself as a mainstay for the Italian side, with 20 appearances across all competitions, including six starts in their last six games as a left sided midfielder. It seems as though Celtic were desperate to try and get Castagne over the line and considering who was lining up on the right hand side of defence at Parkhead it is easy to understand why. Prior to Jeremy Toljan’s arrival, who looks to have been a late second choice for Brendan Rodgers’ men after their failure to snap up the Belgian, it was the ageing Mikael Lustig and when the veteran was ruled out, the inexperienced Anthony Ralston stepped in to fill the void. Would Castagne have been a good signing? That is all for the fans and pundits to determine but Toljan looks a quality arrival from Borussia Dortmund, even if it is only on a loan spell. Could the Bhoys return for the Atalanta man? Well, his price is likely to rise the more he plays at his current side but with Toljan set to head back to Germany they will no doubt be keeping a close eye on his availability. One to watch for the future, perhaps.